There are currently fewer people working in manufacturing than at any time in the nearly 40-year history of the modern Labour Force Survey. Economists say that shows Canada is indeed suffering from Dutch disease, though the government disagrees. The latest national job numbers came as a great surprise. Great because they were up — a surprise because analysts were predicting the numbers would be down. The top-line numbers, however, mask the hollowing out of a portion of the Canadian economy. Is Canada suffering from 'Dutch disease'? According to the Labour Force Survey, 1,688,300 Canadians were employed in the manufacturing sector in March, a drop of 1.8 per cent from the previous month. That means there are currently fewer people working in that sector of the economy than at any time in the nearly 40-year history of the modern Labour Force Survey. In January 1976, the first month of the new survey, Statistics Canada reported more than 1.8 million people were working in manufacturing. To put those numbers in greater context — the entire labour force for all industries at the time numbered 9.6 million. Today it stands at 17.9 million; an 86 per cent increase. Manufacturing has shrunk over the same time period by more than a quarter. Last fall, Bank of Canada governor Stephen Poloz said parts of the sector have lost 75 per cent of their output since 2000. He pointed out this is more than just cancelling the third shift at a plant — that kind of decline represents factory closures and companies restructuring to slim down. The closures and restructuring were made necessary because of declining demand from international clients, whose currency isn't going as far as it used to compared with the Canadian dollar. The loonie was being driven largely by the power of strong oil prices. 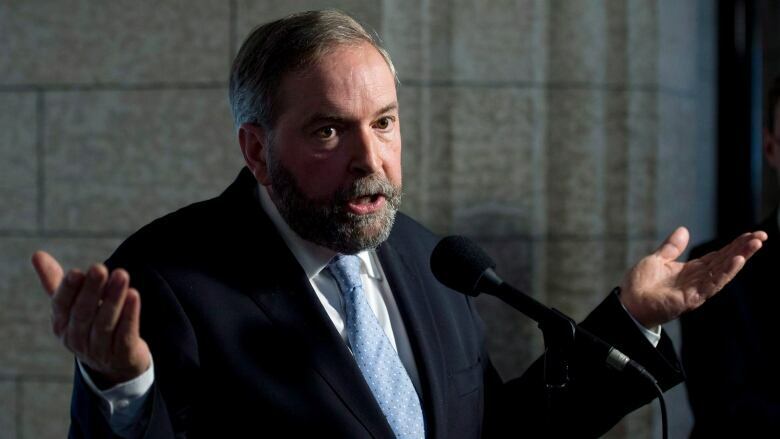 "It's by definition Dutch disease," opined Tom Mulcair in an interview with the CBC in May 2012. The term was coined in 1977 to describe the downside of the discovery of natural gas fields off the coast of the Netherlands. The ensuing economic boom boosted the country's currency, which was harmful to its other exports and — in the end — the overall economy after commodity prices slumped. "The currency's appreciation of almost 60 per cent over the last 15 years has really hurt the manufacturing sector," is the assessment of Canada's economy by Bank of America Merrill Lynch economist Emanuella Enenajor. Poloz hasn't used the term (certainly not publicly), but did concede, "capacity in these subsectors has simply disappeared." Just because low oil prices are reducing transportation and energy costs, and the floundering loonie is making Canadian exports attractive again — it doesn't mean the sector will bounce back immediately. You can't just turn the lights back on in the factory and start sending the widgets out the door again. When the energy sector started to lose steam, the old stalwarts of the economy weren't there to pick up the slack. "The Dutch disease that Canada has experienced has been more than a decade in the making, and I think it has really hurt business confidence," added Enenajor. Supporting that view is the Bank of Canada's latest survey of companies, which suggests that cheaper oil is reducing their expectations for the economy in the near term. It takes economists reams of research and data to offer evidence Canada suffered from, and continues to have the after effects of, Dutch disease. Mulcair's 2012 diagnosis has merit, but the Conservatives use far fewer words to show that counts for very little in an election year. 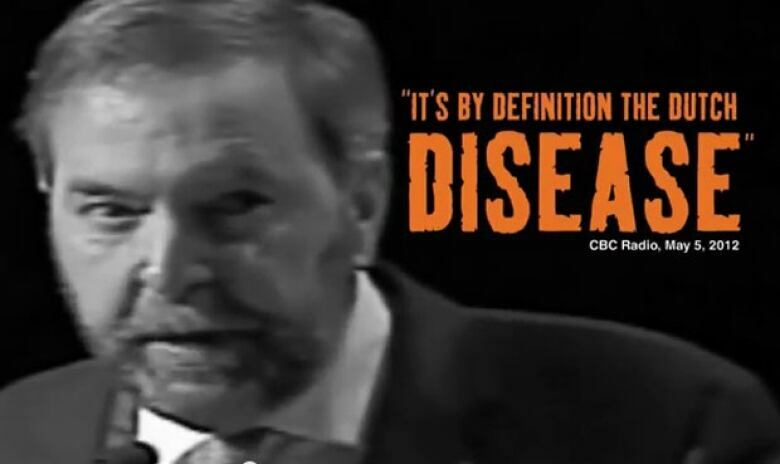 "The leader of the NDP calls [the natural resources] sector a disease!" Pierre Poilievre sneered at Mulcair across the floor of the House of Commons last week. A rebuke even economists have to admit will likely put what they call "downside pressure" on the NDP's vote in at least some parts of the country.